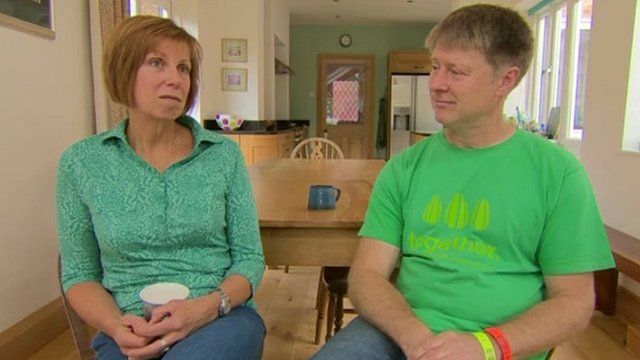 'Why we'll give home to migrants' Jump to media player Fran and Martin Wood from Darlington explain why they intend to offer accommodation to migrants from war-torn Syria. The Britons helping Calais' migrants Jump to media player Looking at the life of the Calais migrants through the eyes of two Britons who are helping the refugees in the 'jungle'. Holidaymakers buy supplies for refugees Jump to media player Two women holidaying in Kos decide to help Syrian refugees stuck on the holiday island. Cameron: UK to take more Syria refugees Jump to media player Prime Minister David Cameron says the UK will take "thousands" more refugees who have fled fighting in Syria and are in UN camps in neighbouring countries. Council leaders have called on the government to provide more resources to help them house the extra migrants that the UK is planning to accept. Meanwhile, many families have come forward offering to accommodate those who have fled war-torn Syria. Fran and Martin Wood got in touch with their local MP to say that they had spare room in their Darlington home.